St. Clair Township residents gave incumbent mayor Steve Arnold another four-year term and a strong vote of confidence on Oct. 22. The Wilkesport-area farmer received 3,239 votes to easily defeat veteran councillor Jeff Agar, who had 1,941 votes. Brian Everaert drew 344 votes and Ed Linton 106. Arnold said in the coming term he wants to see more resources devoted to long-term planning, and he intends to reach out to the electorate through regular town hall meetings. He also wants to find a solution for the aging Moore Sports Complex, which needs at least $5-million in upgrades, and to improve Internet service for all residents and businesses. As for allowing private cannabis stores in St. Clair, Arnold said he’s personally not in favour but council as a whole will make that decision. In a two-way race for deputy-mayor, Steve Miller, who has almost 40 years of council experience, edged incumbent Peter Gilliland by 55 votes. In Ward 1, the northern half of the township, Tracy Kingston topped the polls with 2,573 votes while Jim DeGurse and Pat Brown took the other two seats. 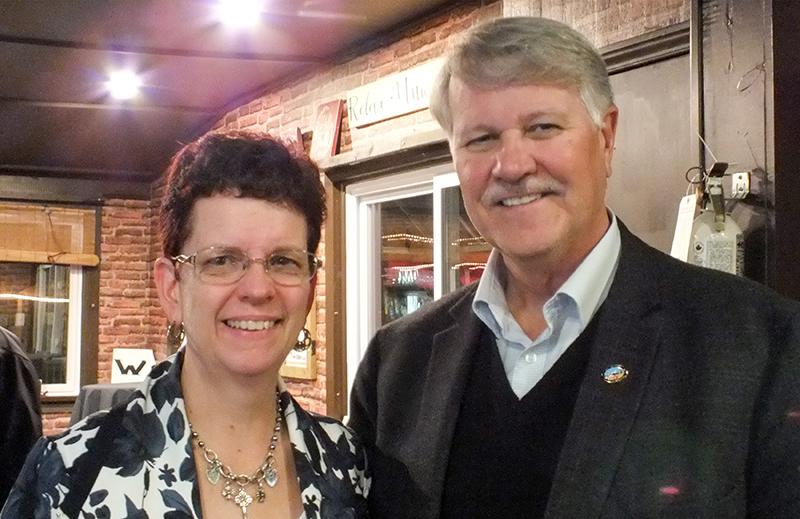 In Ward 2, Rose Atkins and Bill Myers were elected. In the school trustee elections, Carol Ann Bryden will represent the St. Clair Catholic District School Board. Greg Agar was acclaimed to the Lambton Kent District School Board.